Rebuilt and widened by the Costa family in 1783 it extended till the little street that led to the church of San Nicandro. 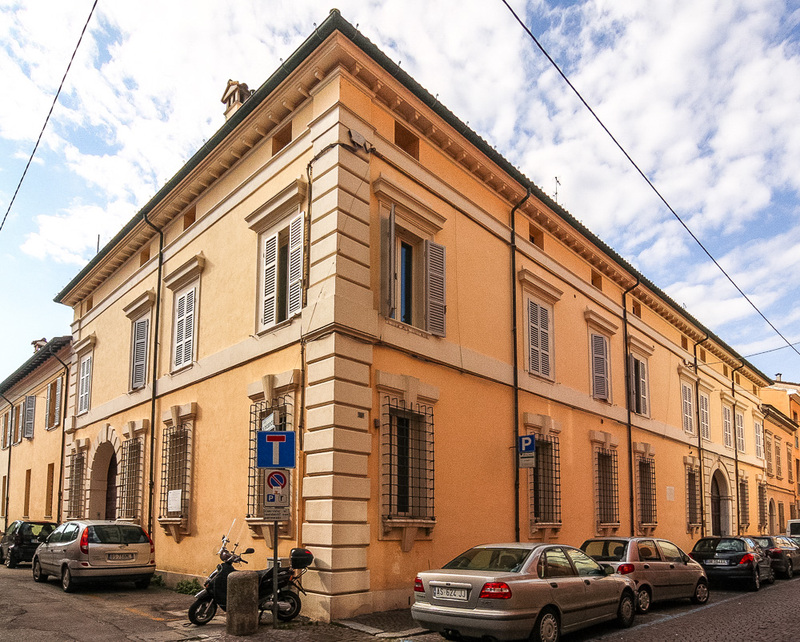 It is characterized by an asymmetrical front with two entrances, one on the alley and the other on the main road, by the plastered walls and by impressive cornices made of Istria stone. 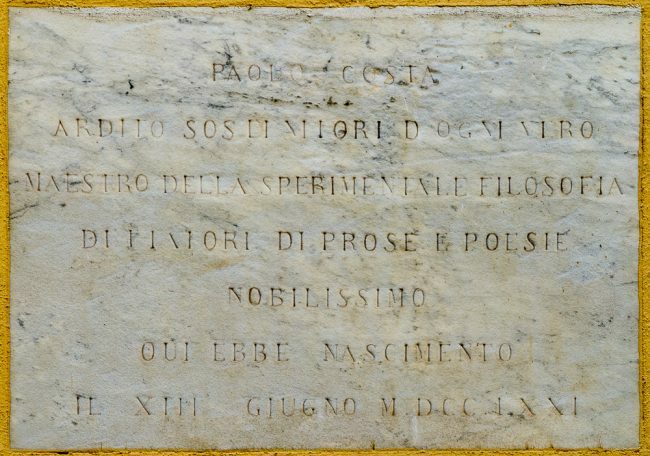 The tablet on the facade commemorates the birth here of Paolo Costa (1771-1836) an important scholar, politician and important activist of the Risorgimento. The house then went to the Ghezzo family who opened the “Banco Domenico Ghezzo”, one of the most important private banks in Romagna.